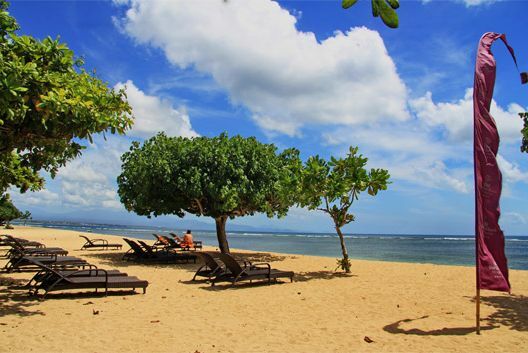 We invite you to join us in the tropical island paradise of Bali for a very special and affordable 8-day event (7 nights), April 1–8, 2015, at the 5-star Inna Grand Bali Beach Hotel Resort & Spa, including a delicious variety of fresh vegetarian and world cuisine. We created this gathering especially for those who practice the Transcendental Meditation technique and for those who wish to learn Transcendental Meditation. Our focus will be on self-development and sustainable living. There will be various courses running concurrently, plus everyone will have plenty of opportunity to mix and enjoy each other’s company! The Meditators Residence Course is for practitioners of Transcendental Meditation of all ages. The Experience the Self course is for people of all ages who want to learn Transcendental Meditation in a residential setting along with Yoga Asanas and other fundamental knowledge. We look forward to sharing time with you in Bali! Please read on below! Practitioners of Transcendental Meditation are warmly invited to join us to rejuvenate mind, body, and soul by reconnecting with your natural state of well being. This is a great opportunity to enjoy deep rest and advanced knowledge of Maharishi Vedic Science from well-trained course leaders. So come and enjoy your SELF—the most silent, peaceful, delightful level of your own consciousness. Please visit our website by clicking HERE for the details of this special course, and to apply. Imagine learning the Transcendental Meditation (TM) technique — one of the world’s most popular and effective programmes for self-development — amidst the tropical splendour of the Pacific island of Bali! The Experience the Self course offers 8 days of self-discovery, including the opportunity to learn Transcendental Meditation in an in-residence setting with personal guidance from experienced TM teachers. You will also gain practical, profound knowledge of health and wholeness through workshops in Maharishi Ayurveda, Maharishi Yoga Asanas, and Sustainable Living, while exploring new horizons in the most sublime setting.